A lesbian couple has been viciously beaten after restaurant staff reportedly mistook one of the woman’s gender. Lisa Chang and her partner, Ms Yuan have said that they were assaulted by employees of The Nest, a well-known restaurant in Shanghai. Chang, 47, said that when the pair were visiting the restaurant she stood up and made her way to the bathroom. However, she was allegedly confronted at the bathroom door by the restaurant manager who accused Chang of actually being male. Chang escaped to the bathroom to calm down but she said that when she returned she saw six male security guards beating her partner. The woman said that her partner was kicked, had her head pinned to the ground and her hair pulled. She alleges that she tried to intervene but was assaulted. The pair immediately went to the police after the attack but were reportedly told by police to work out the issue with the restaurant. The following day the couple were hospitalised in order to have CT scans as they were left with bad bruising and cuts. 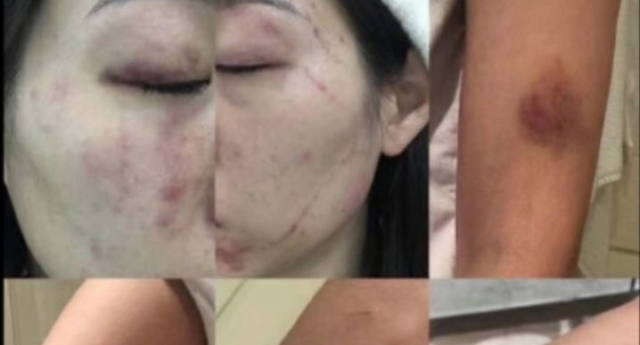 Writing on WeChat, a popular Chinese social media app, Chang said that she was horrified at the treatment they had received. She wrote: “I know I might not be the most feminine person in this world but I do have the right to of to a female toilet and also know there should be no questions asked after I stated I am female. Responding to the allegations, The Nest’s managing director and co-founder, Mark Klingspon, said that he was “investigating”. “I am sure that anyone that knows The Nest or our team or me will know that there was no way that any of this unfortunate incident was fueled towards the LGBTQ community… we embrace all… and have members of this community amongst our team, our families, and our guests every night,” he said. An official statement from The Nest read: The Nest is shocked and saddened to find allegations of a ‘hate crime’ circulating on social media today.